To celebrate the opening of ‘Show Me The Money: The image of finance, 1700 to the present’, a special symposium brings together exhibiting artists, leading academics from disciplines across art history, contemporary art, and literature, alongside authors and former financiers. The panellists will reflect on the past and present interrelationships between art, money, and finance. Attendance is free but booking is recommended. Please email ngca@sunderland.gov.uk to confirm your place. The exhibition preview follows at 6:00 – 8:00pm at Northern Gallery for Contemporary Art. Le colloque annuel de la Société Suisse d’Ethnologie a lieu à la Haute Ecole de Travail Social (HES-SO Valais//Wallis) située à Sierre. Il propose des réflexions menées par des anthropologues suisses et internationaux à partir de leurs recherches récentes. Cette année, les thématiques de l’anthropologie visuelle sont à l’honneur. 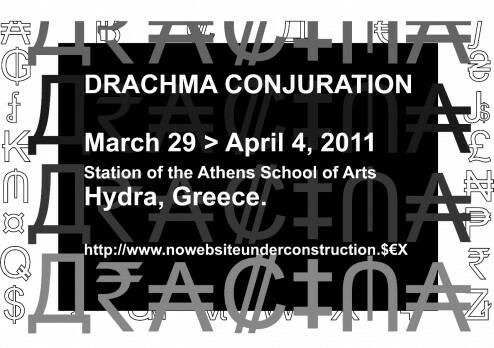 Drachma is a research initiative, involving artists and theorists across disciplines, with an interest in the Greek economic reality and the Greek currency as a manifestation of this reality. We are investigating the Drachma as a symbol of economic value, national identity and political power, as they are expressed historically in the imagery of the currency. 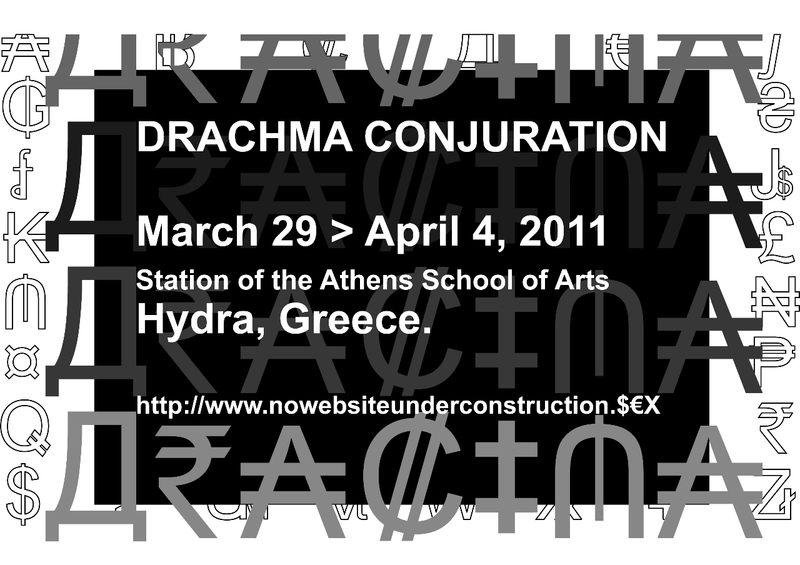 The iconographic and the symbolic representations of the Drachma, in the concrete syntactic context of notes and coins, provide a specific frame of reference to our analysis of Greece today. Our methodology includes archival research, art, economic theory, political design, psychoanalysis … Our production will culminate into a symposium, an exhibition, and a publication.